The St. Cloud Rox are excited to announce the organization is accepting applications for the “Share the Glove” Youth Equipment Grant Program in conjunction with the Northwoods League Foundation. 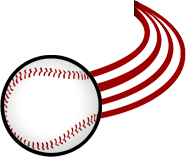 The “Share the Glove” program provides youth baseball and softball equipment annually in every Northwoods League market. The Northwoods League Foundation is a charitable organization that serves as a vehicle to transform a shared passion for baseball and softball into positive change and support for communities. The Foundation will be awarding more than $55,000 in youth baseball and softball equipment through 22 Share the Glove grants to be awarded this Spring. Each grant, with an approximate retail value of $2,500, will include two sets of catcher’s gear, ten gloves, eight batting helmets, six bats and one bucket of practice balls. 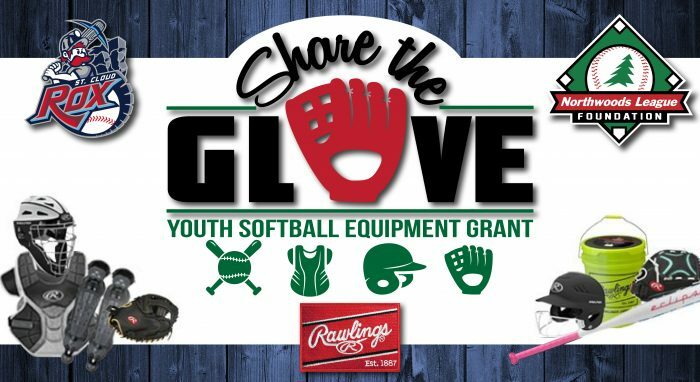 In 2019, a youth softball team in Central Minnesota will be receiving a $2,500 equipment grant as part of the “Share the Glove” Youth Equipment Grant Program. The deadline to apply for the grant is Wednesday, April 10.
Who is eligible to receive the softball grant? The St. Cloud Rox will be accepting grant applications from youth softball organizations (ages 9-12) within Central Minnesota until Wednesday, April 10. The Northwoods League Foundation will make the final determination on the awarding of grants. Grant recipients will be notified by the St. Cloud Rox. To apply for the St. Cloud Rox Share the Glove youth softball grant, you can fill out the application form here or download a printable version here.